Hydroponics is the growing of plants in nutrient solutions, with or without sand, gravel or other inert media, to provide mechanical support. Nutrition is supplied by water-soluble nutrients in place of soil. Hydroponics allows for the cultivation of plants in areas where they wouldn’t typically grow. But that’s not the only benefit to this method – hydroponics also saves on land, fuel and labour. With in-depth academic knowledge and over a decade’s experience in growing fruit and vegetables hydroponically, DaisyFresh is ideally positioned to offer consultation services to anybody planning to start a hydroponic garden – to grow produce commercially or for their own enjoyment – or for established hydroponic growers wishing to improve their yield or business. 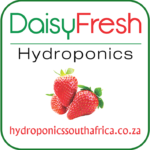 In addition to being a supplier of quality hydroponic systems, DaisyFresh holds courses for both beginners and those with some knowledge of hydroponics. Our courses take place at the end of each month, at a venue just outside of Durban in KwaZulu-Natal. Eco-Tunnels are eco-friendly greenhouse tunnels made in an easy-to-assemble DIY Kit. Perfect for small urban gardeners, farmers and nursaries. We courier them all over South Africa. 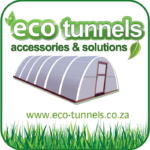 Our tunnels are made up on order and produced locally in SA. Short Business Description: MOTIVATED, VERSATILE and EXCITED! In 2006, before Mushrush® Specialist Mushroom Cultivators existed, we were playing around with mushrooms. 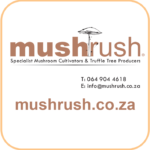 Before we knew it, Mushrush® was born – growing spawn and fruiting a fun and exotic variety of fungi and a hobby became a business. Over the years our business, products and knowledge have mushroomed. Passion combined with international training, hands-on experience and extensive research contributes to our uniqueness. Mushrush® strives to develop excellent mushroom products. On our family smallholding in the Natal Midlands (KZN, South Africa), we have a truffle tree nursery supplying English and Holly Oak to prospective truffle (Tuber melanosporum) farmers and our own small truffle plantation. We have formulated our own Red Reishi (Ganoderma lucidum) Extract containing the equivalent of 500mg/ml of our OWN organically produced reishi mushrooms – we value the importance of growing our reishi using clean water and in an environment where air and soil pollution is limited. Medicinal mushrooms are one of South Africa’s unrecognized natural treasures and offer many uses, especially to those seeking to boost their immunity levels (HIV), those suffering from various cancers, diabetes, blood pressure issues and others. As we grow, we remain true to nature and keep up to date with GREEN matters. That our soils can be cleaned by mushrooms, is so encouraging and that packaging need not be poisonous, but in fact made of mycelium. 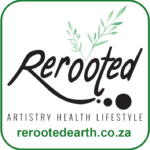 Short Business Description: Rerooted is the expression of connecting the community through Artistry, Health and Lifestyle. The platform supports creative locals who are passionate about cultivating harmonious relationships with our sacred Earth. The vision is to weave roots as a community sharing our creations and our stories. Check out the amazing range of items in the online shop, including the Planting Calendar! The Garden Girl offers comprehensive professional landscaping solutions including landscape design, garden installations/renovations/makeovers, and the ongoing management and specialized maintenance of your garden to ensure your investment thrives. We strive to create beautiful and practical gardens to live in and enjoy, gardens that are an investment into your lifestyle, gardens that complete your house and home! Our gardens are inspired by you! We are also conscious of our environment and its limited resources. In an effort to try reduce our footprint we offer clients a variety of recycling solutions to help manage home and garden waste. We strive to understand our client’s requirements to ensure the design is personal and meets the tastes, character and personality of the individual and/or family living in the home. 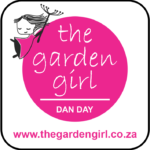 The Garden Girl is owned and managed by Danielle (Dan) Day, a certified City & Guilds graduate of Lifestyle College and an active member of the Guild of Landscape Designers (GoLD). We design and install residential gardens in the Northern Suburbs of Johannesburg. This includes brand new gardens for newly built or renovated homes, as well as garden makeovers where existing gardens can be transformed into beautiful and more practical gardens that suit your individual and/or family needs. With a good understanding of corporate environments, we can also provide unique and practical insights for commercial gardens, including office, retail and residential projects, to ensure the gardens are fit for purpose, professional and sustainable. We discovered more than we expected when we set out to measure the social impact of our compost tumbler. At YOLO, we’ve taken the concept of compost tumbling and have made it even better through good design and smart engineering. Our YOLO Compost Tumbler is a convenient method to compost organic waste from the kitchen and garden. As a closed-bin system, compost tumbling matures compost faster than compost heaps and has the advantage of being rat, dog, monkey and pest proof. Our YOLO Compost Tumblers take little space, are odour-free, and they are suitable for homes with large gardens, small gardens or no gardens. We’ve put thought into making our YOLO Compost Tumbler an attractive addition to your yard. There’s no need to hide it behind the garden shed or dog kennel. Rather, show your YOLO Compost Tumbler to friends, teach them about composting and let them give it a tumble. If you have limited space, are passionate about recycling organic waste, our YOLO Compost Tumbler is for you. 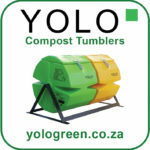 Please visit our Sizes & Pricing page for a comparison of our three YOLO Compost Tumbler sizes. YOLO Compost Tumblers are easy to turn, even when full. Customcreation © 2019. All Rights Reserved.